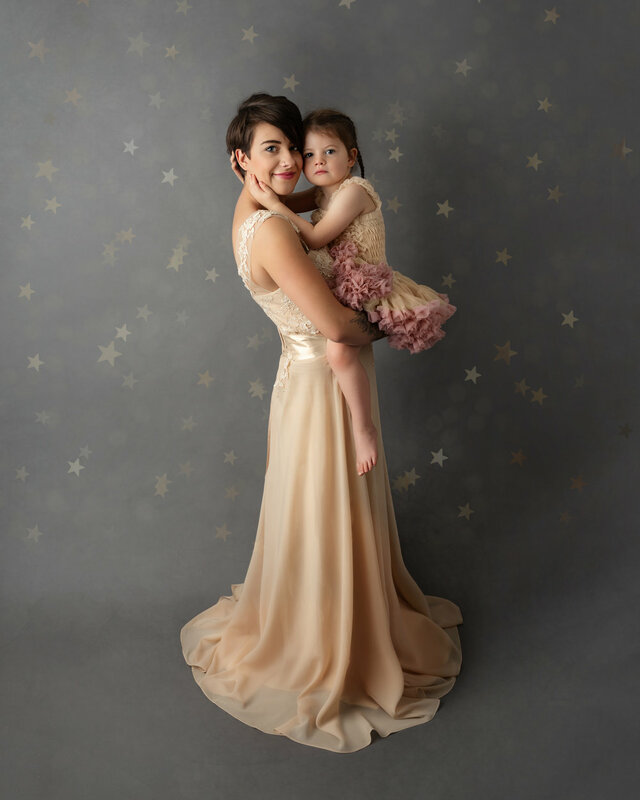 'Mummy and Me - Elegance' Mini sessions. 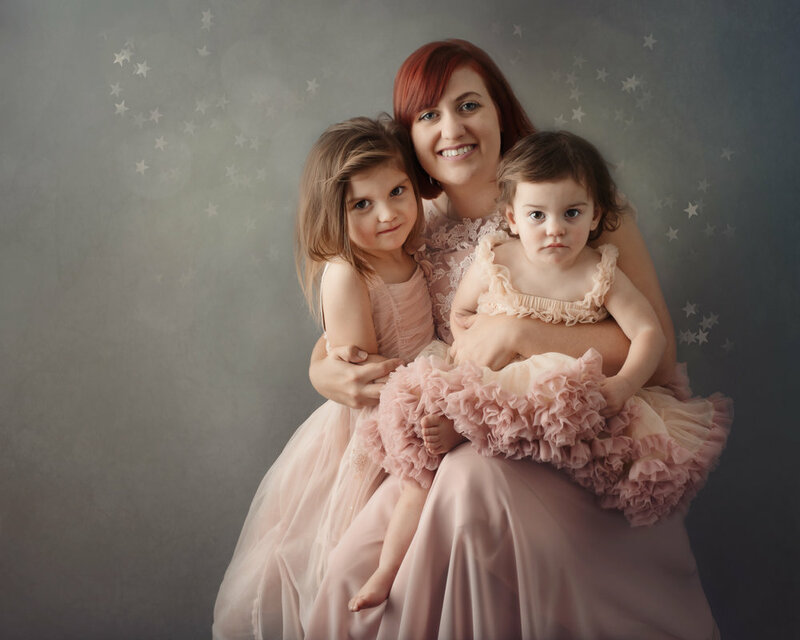 Do your children have a professional portrait of themselves with you, their beautiful mummy? One day, these photographs will be one of the most treasured and important possessions that your child will own. Give yourself and your children the gift of a beautiful heirloom portrait. As most of you mummy’s can probably agree, we are the ones usually taking the photos of our children and partners, but rarely getting in the photographs ourselves. Perhaps a few snaps on our phones or a few snapchat selfies with our kids. So many of us theses days, have very little in the way of a real tangible portrait, one that can be hung proudly in the home and then passed down through the generations of our family. What will your children find in later years when they look for photographs of themselves with you. Will these phone shots that you have, even be printed out for them to find? These aren’t just for girls! Bring your sons along too!! Unfortunately, due to my very small space, I can only photograph mum and up to 3 children at any one time. These portraits will look best when mum and child(ren) are coordinating. The outfit choices can really make or break a photograph. I would love for you to come to this elegant portrait session with your favourite glamorous dress, perhaps a bridesmaids dress you never thought you’d get to wear again, or your favourite cocktail or Christmas dress. If you don’t have one, fear not! I have several in my collection especially for you to borrow. I have purposely bought 4 gowns with a corset style fastening at the back of the dress to hopefully fit all sizes. So if you are smaller, I can clip you in and if you are larger than the dress, I can leave some of it undone, we won’t be seeing the back of the dress. The colours I have are dusty pink, navy, teal, beige and cream lace dresses. If you would like to pop over prior to the day of your session to look at the dresses or try them on so you know what colour outfits you’ll need for your child(ren), you are more than welcome to do so, please contact me before to arrange this. If you could please make every effort to dress your child(ren) in similar colours it really will give the finished photograph the WOW factor! Having had 4 daughters myself, I do have an array of pretty little girls dresses which you could borrow if you would like. I’m afraid I have absolutely nothing in the boy department! Boys would look good in fairly plain smart outfits in matching colours to your chosen dress. Perhaps smart jeans or trousers with a plain long sleeved T-shirt, turtle or polo neck. These mini sessions will be 30 minutes long. This includes the getting dressed and undressed time. Young children have very short attention spans, especially for posing in photographs, so a mini session is perfect. I’ll aim to get approximately 6 stunning photographs from the session and then there will also be the extra black and white and artistic overlay duplicates of the same images. SESSION PRICE - £50 with1digital and complimentary matching 10x8 print. Approximately 2-3 weeks after your session, I will invite you back at a day and time convenient for us both to view and choose your images. I am not a sales person!! There will be no hard sale. It’s down to you how many images you purchase. These mini’s will be held on Saturday 24th November in Wellington. The £50 must be paid on booking. Bank transfer please. No slots will be held open without. Please inbox me on my Karen Kimmins Photography FaceBook page and I will answer in order. I can’t wait to photograph you! !